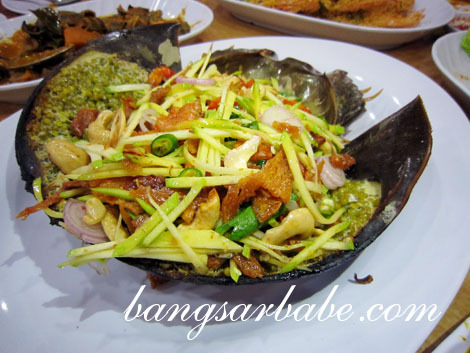 Batu Kawan in Penang is known for its cheap and tasty seafood eateries. 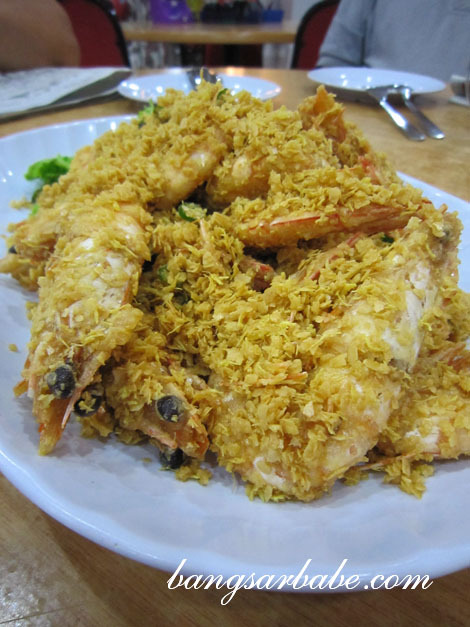 Ah Yen Seafood Restaurant is one of them. When I was there in April, I spied five Singaporean cars parked in the compound. The seafood there must be dirt cheap for them. 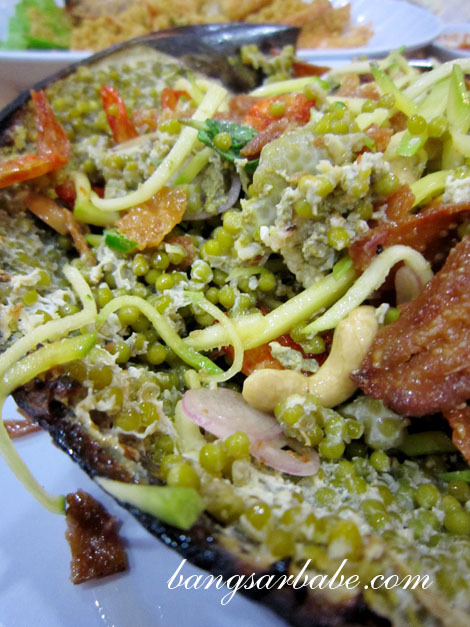 Balitong is a pain to eat, but I love the “chut chut” effect it comes with. I used to love going to the Hawker Centre in Damansara Uptown with Shum, and taking down plates after plates of chilli balitong. This one was cooked with pumpkin, sweet potato leaves and curry powder. Interesting combination, and tasty too. The Oh Chien was abysmal. I’ve never eaten such a sad-looking oyster omelette before. It looked like an ordinary egg omelette, with small specks of oysters. We initially wanted butter milk crabs, but the waitress suggested crab curry instead. It was nothing to shout about. I think Alagappa’s might be sponsoring them, because the whole dish tasted like curry powder. Hardly memorable, not even with fluffy mantau buns. 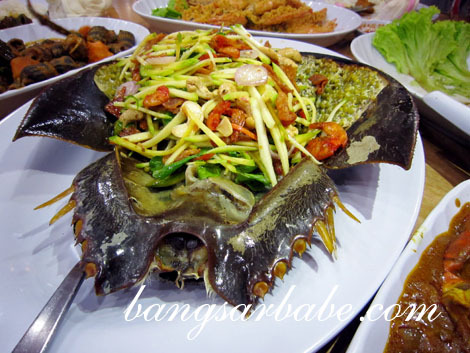 This is a horseshoe crab. My father in-law calls it belangkas. Did you know that the blood of this crab is blue and it is used as a dye and to maintain the safety of drugs used in medical care? The caviar looking globules are the eggs, and they tasted like a cross between risotto and beans. Not particularly tasty on its own, but when paired with the piquant flavours of the kerabu, it’s not bad. 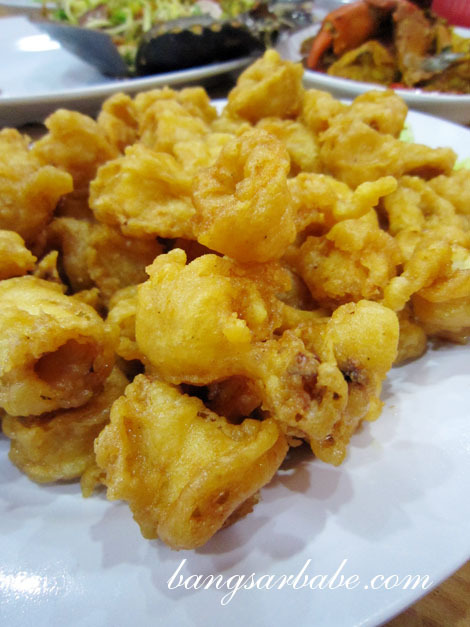 Batter fried squid is customary when we eat seafood – rif will insist on having it almost all the time. Ah Yen’s version was deep fried to a crisp golden turn. This went really well with Thai sweet chilli. 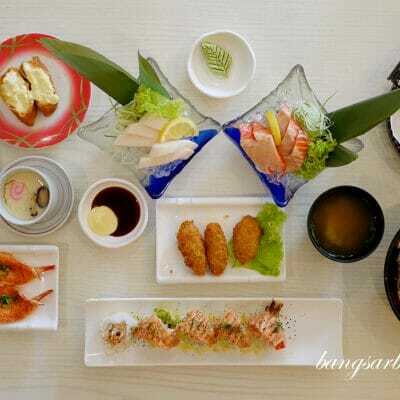 I’m not sure how much each dish cost; all the above was slightly over RM130 for the 4 of us. Pretty good value for money, I reckon. I didn’t spot any pork dishes on offer but to be safe, call the restaurant to verify. Verdict: While the seafood was cheap and fresh, I didn’t like some of the cooking styles. Skip the crab curry and oh chien. Go try if you’re in Batu Kawan. But don’t eat the crab curry! 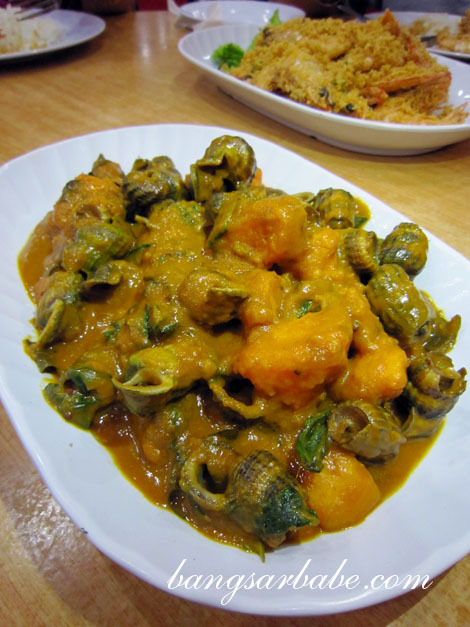 Balitong masak lemak?? That I haven’t tried. Sounds yummy! Horseshoe crab!!!! 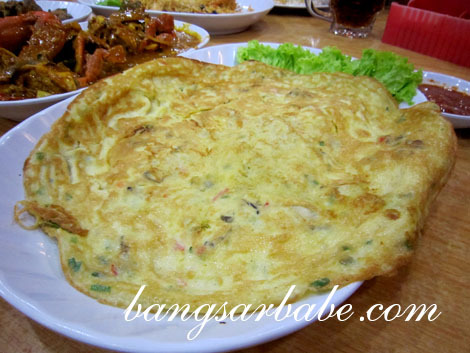 din know can get it here..only saw it on tv.. :D.
Must try! does the meat taste like normal crab? 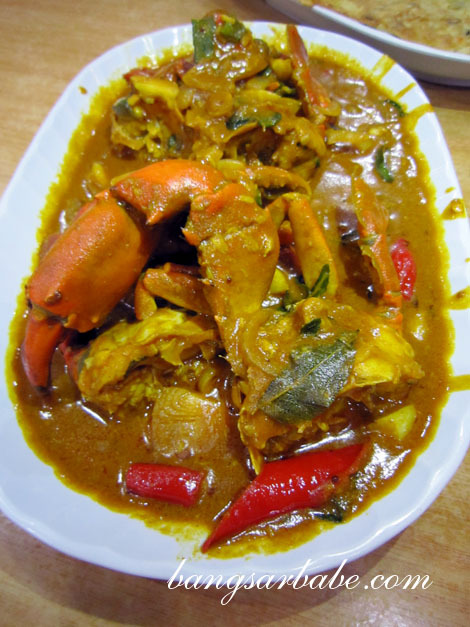 Crab curry is yummy if cooked properly, there is a secret to cook it right, hehehe.